The Befree 2N1 comes in two versions: one with Manfrotto's Quick Power Lock lever setup and one with its M-Lock twist setup. 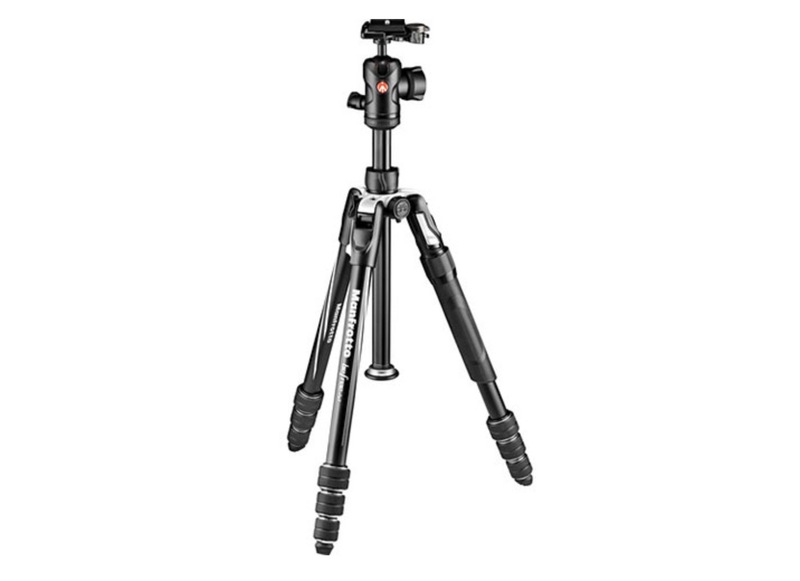 Both versions, which use Manfrotto's 494 Ball Head with 200PL PRO Plate for mounting the camera to, hold up to 8.07kg/17.8lbs and fold down to 40.64cm/16in long. The legs extend using four dedicated sections and extends just shy of 152cm/60in for both models. There's also a kit version of the lever-lock Befree 2N1 that comes with Manfrotto's fluid head and a dedicated case. This system is oriented more towards videography content capture. Both versions of the Manfrotto Befree 2N1 tripods will retail for $220, while the video-centric kit version will retail for $240. You can pre-order all three models on B&H now. They're set to ship later September 2018.